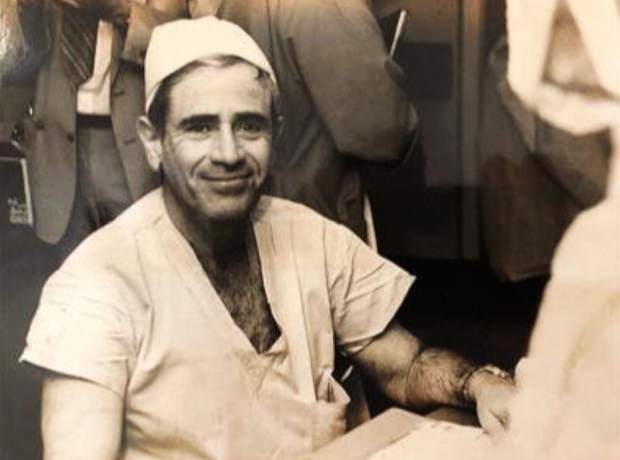 Allen “Doc” Tulgan, M.D., loving grandfather, supportive father, irascible younger brother and patron of any and all golf courses that would have him, passed away on Friday, July 13, of complications from pneumonia related to the treatment of acute myeloid leukemia. Recognizable to fellow hackers by his ubiquitous presence on the practice tee, Doc was an avid golfer who never really left the driving range. Doc possessed exceptional ball-striking and shot-making capabilities on the range. Dubbed by one professional as “a scratch practice golfer,” Doc’s playing handicap never fell below 16, which indeed disproves the adage that practice makes perfect. Doc’s practice habits and diligence, however, allowed him to build a successful neurosurgery practice, based in Canton, Ohio. Doc garnered appreciation for his professionalism, dedication and life-saving skills. Criticism of his temperament left him unfazed; he observed that his calculated curmudgeonly persona made no difference to his patients, who were usually under a general anesthetic. As the yearly requisite family photos from the top of Vail Mountain attest, Doc spent the first 18 years of his retirement in Vail. Doc toiled as a member of the red-coated greeters, secreting away a lifetime supply of granola bars and Riccola drops, and was a fixture at the Vail Golf Club driving range. Doc was a graduate of City College of New York. He completed his medical education at Albany Medical College. Allen is survived by his daughter, Dana Tulgan Kooistra, of Lawrenceville, New Jersey; his son, Joshua Tulgan, of Moscow, Russia; his brothers Stanley Tulgan, of Pittsfield, Massachusetts, and Boca Raton, Florida; and Norman Tulgan, of Englishtown, New Jersey; his former partner and caring friend, Carol Rosenstock Tulgan, of Boca Raton, Florida; as well as two grandchildren.